Everyone wants a bungalow... 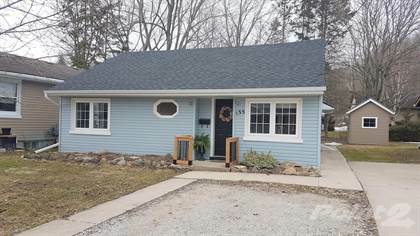 This bungalow is three bedrooms, one four piece bathroom, all on one floor living with crawl space. Well located, only one block south of Millionaire Drive. Easy walking distance to downtown and Harrison Park. There have been plenty of updates. New roof shingles (2016), new high efficiency forced air, natural gas furnace (2017). Electrical panel is 100 amp breakers, plumbing is copper and PEX. Hardwood floors have been refinished. Most windows have been replaced. Fireplace is non-functional. Two parking spaces on front yard. 3 seasons room at the back. Cute home! Hi, I'd like to find out more information about 135 3rd St A West. Thanks so much!